Let's get real you guys. Once the snow melts we're all in for a ton of rain...especially here in the Pacific Northwest. Historically, I've only been a heel girl when a prom or ball was involved. However- I can wear these bad boys all. day. long. Late for a meeting? I'm literally able to run in these things! Stand-up desk? Yeah, I still stand! 5 p.m. rolls around and I haven't changed into a different pair--I'm ready to head to happy hour in my Medinas! The best part? They come in 5 funky colors. 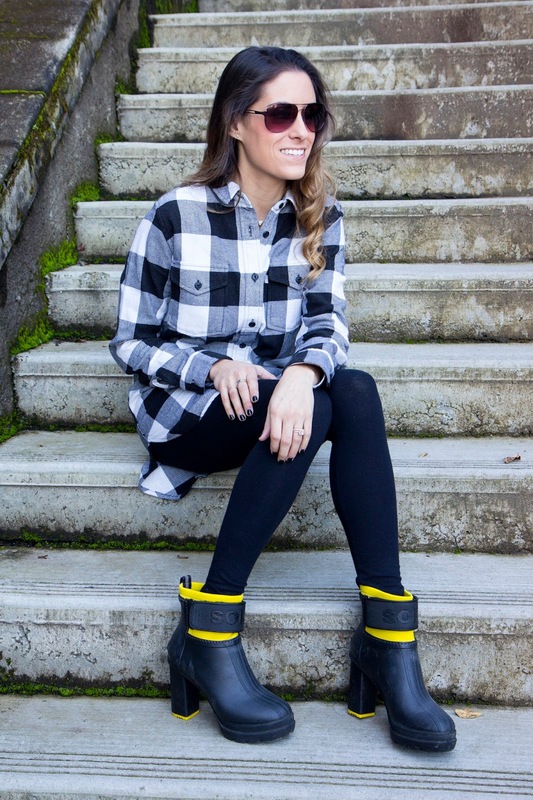 The Medina Rain Heel is probably the only rain boot on this planet that you can easily pair with a dress and wear to a classy event. I can't tell you how many gorgeously stylish women I've seen rocking these during NYFW!